I love maps. I love driving. So the above pretty much encapsulates my life. 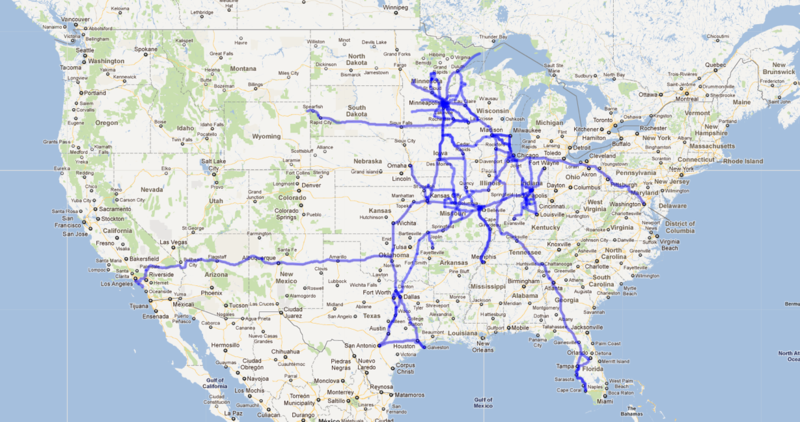 I put this together on Google Maps, basically marking every Interstate and U.S. Highway I’ve traveled through my life — plus a few key state roads and scenic byways I wanted to add in.